Doubt and Assurance, Edited by R.C. Sproul is a worthy read that is sure to help doubters; those who struggle with assurance of salvation. Part one surveys the anatomy of doubt. R.C. Sproul, Alistair McGrath, W. Andrew Hoffecker, Os Guiness, Sinclair Ferguson, and R. Bruce Steward join forces and roll out six impressive chapters that are theologically driven and geared to explain the various aspects of doubt. Part two covers assurance. Contributors include Roger Nicole, John Gerstner, Ron Kilpatrick, Steve Brown, and John Richard DeWitt. These shorts chapters include a brief theology of assurance and alert readers to this important and multifaceted biblical teaching. Whenever a friend purchases a Kindle or e-reader, I always make an important recommendation – Pick up The Crucial Questions Series by R.C. Sproul. Ligonier Ministries has graciously made this 25 book series available, free for the asking. Subjects explore basic matters of the Christian life and provide encouragement for Christians at different stages of maturity. The most recent offering, Are People Basically Good? helps readers wrestle with a vital question. Most people in post-modern culture affirm that people are in fact, basically good. Indeed, this is the premise of secular psychology. Such a premise is flawed from the start, as it ignores the biblical doctrine of original sin. Dr. Sproul answers the proposed question with Bible-saturated wisdom and guides his readers through this thorny matter that not only addresses original sin; he also presents broader anthropological matters such as the image of God and the constitution of man. The concluding three chapters go to the heart of the matter as the author explains the reality of sin, the depth of sin, and the extent of our sin. Readers will learn about the clash between Pelagius and Augustine and will see how this debate has shaped the thoughts of many, both for good and evil. Are People Basically Good is introductory material. It is not meant to be a comprehensive treatment of original sin or the Pelagian/Augustinian controversy. But make no mistake – this is a solid offering, one that is worthy of careful study, especially for new believers. On December 14, 2017 Dr. R.C. Sproul entered into the presence of his Lord and Savior, Jesus Christ. Dr. Sproul was a graduate of Westminster College (B.A. in Philosophy), Pittsburgh Theological Seminary (B.D. ), Free University of Amsterdam (Drs.) and received additional recognition from Geneva College (Litt. D) and Grove City College (L.H.D.) in 1993. Dr. Sproul was ordained in 1965 by the Presbyterian Church in America (PCA) and taught at Westminster College (1965 – 1966), Gordon College (1966 – 1968), Conwell School of Theology (1968 – 1969), Gordon Conwell Theological Seminary (1971 – 1981) and held the John Trimble, Sr. Chair of Systematic Theology at Reformed Theological Seminary (1987 – 1995). He served on the Executive Committee for the International Council on Biblical Inerrancy (1977 – 1983). He held various leadership roles with the Coalition for Christian Outreach (1971 – 1976), Evangelism Explosion III, International (1980 – 1981), and Prison Fellowship (1979 – 1984). In addition to several other teaching roles at theological Seminaries, including Knox Theological Seminary and Reformed Theological Seminary, Dr. Sproul served on the pastoral staff at Saint Andrews Chapel in Sanford, Florida. Dr. Sproul was the founder and Chairman of Ligonier Ministries, a non-profit organization dedicated to providing theological education for the church. Ligonier provided and continues to provide a myriad of teaching resources by Dr. Sproul and others, which are primarily directed toward the laity. Many tributes will be posted for several days and weeks to come which will celebrate Sproul’s life and legacy. My small contribution will be personal in nature as I recount the ways that my life was impacted by his ministry. R.C. Sproul was greatly used by God as he reintroduced Reformed theology to the evangelical church. He articulated the doctrines of grace with passion, courage, conviction, and authority. He spoke about the depth of our depravity and reminded us that the “flesh profits nothing” (John 6:63). Indeed, as Luther said, “Nothing is not a little something!” “Sin is cosmic treason,” writes Sproul. “Sin is treason against a perfectly pure Sovereign. It is an act of supreme ingratitude toward the One to whom we owe everything, to the One who has given us life itself. Have you ever considered the deeper implications of the slightest sin, of the most minute peccadillo? What are we saying to our Creator when we disobey Him at the slightest point? We are saying ‘no’ to the righteousness of God.” R.C. Sproul powerfully proclaimed the hideous effects of sin on a fallen race. He not only spoke of the depth of depravity; he proclaimed the beauty of sovereign grace. He helped us understand the importance of election and predestination. Chosen by God served an especially important purpose in my life. This book was a theological battering ram. Chosen by God smashed my preconceived Arminian notions. It shattered my Semi-Pelagian understanding of free will and petty arguments against Calvinism. The first time I saw Dr. Sproul preach at a live event, I stood in line for at least an hour to say “hello” and get a signature in his latest book, Not a Chance. It was a typical scene where several hundred hungry theology students gathered for a chance to visit for a moment with one of the premier theological minds of the day. Sproul was signing books and carrying on in casual conversations. When my time came, I uttered these words: “Dr. Sproul, I want to thank you for your ministry. Before I began reading your books, I was a total Arminian.” Those words caught his attention. He lowered his reading glasses and looked me straight in the eye: “Weren’t we all Arminians at one time!” The crowd roared but R.C.’s infectious laugh overcame the whole room. Dr. Sproul awakened in me a love for church history that was previously non-existent in my life. He had a special gift for storytelling that invited listeners to enter the world of Augustine, Calvin, Luther, and Edwards. His passion for uncovering the treasures of church history was something to behold. These giants of the faith came to life when R.C. spoke of their courage, tenacity, and faithfulness in proclaiming the unadulterated Word of God. The Holiness of God caught me completely by surprise in my early twenties. My mind was transfixed. My heart was warmed. And my life was forever changed as I poured over the pages of this book which will no doubt be in print for many years to come. It is difficult to summarize the life of a man who carried such a huge weight of influence for over thirty years. A few short paragraphs hardly seem fitting for a man who helped change the face of evangelicalism. In a recent sermon, Steven Lawson admonished his audience, “Give us some men who know the truth.” R.C. Sproul was such a man. R.C. taught the truth, defended the truth, and worked tirelessly to proclaim the truth to the nations. Dr. R.C. Sproul (1939 – 2017) fought the good fight. He finished the race. And he kept the faith. Enter into the joy of your Savior where you will reign with him unto all eternity. Much of what passes for “prayer” these days is either geared to the heretical health and wealth gospel or is drowning in neo-Gnostic babel. Subjectivism, emotionalism, and narcissism dominate such thinking and have no place at the evangelical table. R.C. 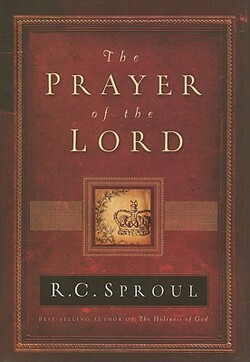 Sproul brings clarity to the subject of prayer in his book, The Prayer of the Lord. Dr. Sproul guides readers through the Lord’s prayer in a way that we have grown accustomed to for over 40 years. Sprouls’ treatment is practical and deeply theological. He counters some of the erroneous arguments that are set forth concerning prayer and sets forth the crucial principles for maintaining a vigorous prayer life. Sproul’s work is a terrific place for new believers to start and will serve as an encouragement for seasoned Christians as well. Enjoying God: Finding Hope in the Attributes of God by R.C. Sproul is written with the layman in mind. The author intentionally sets unnecessary theological jargon aside and aims for hearts and minds of everyday people. The end result is a biblical vision of God which draws readers into a profound sense of worship and awe. The focus in Enjoying God is theology proper which sets forth a sampling of God’s attributes including omniscience, omnipotence, omnipresence, truth, immutability, justice, and love to name a few. Eleven chapters are devoted to exploring God’s attributes. Each chapter includes a brief explanation linked to the pertinent biblical passages. I cannot think of any living author outside of R.C. Sproul who has so revolutionized my view of God. My first introduction to Dr. Sproul came in 1988 as I devoured his best-selling book, Chosen By God. Those were formative years where the theological foundations in my life began to slowly take shape. Since then, I have consumed every book I can find by Dr. Sproul. He consistently points to a God who is holy, holy, holy. And he faithfully exposits the Bible in a way that exalts the living God. There are many things in life that we “get wrong.” Some of the things we get wrong may cause temporary pain or inconvenience but usually do not pose a significant challenge to our daily lives. But getting the gospel right has eternal implications. R.C. Sproul addresses this matter in his book, Getting the Gospel Right. Originally published in 1999, Baker Books has repackaged this timely book for a new audience that probably never had the chance to read the original work. The book includes three parts. Part One discusses the Controversy Concerning the Gospel. The debate reaches back to the sixteenth century when Luther boldly challenged the doctrinal underpinnings of the Roman Catholic church. Part Two includes a critical analysis of The Gift of Salvation, the joint statement by Roman Catholics and evangelicals in October 1997. Sproul’s comments and critiques are straightforward and gracious. He affirms the points of agreement between Rome and evangelicals but he also identifies several doctrinal deficiencies. These deficiencies who prevent most evangelicals from endorsing such a document. Part Three includes a detailed exposition of The Gospel of Jesus Christ: An Evangelical Celebration, a document that was drafted by notable evangelicals including D.A. Carson, J.I. Packer, R.C. Sproul, and others. The document includes a series of affirmations and denials and is essentially an exposition of the document, which includes safeguards and doctrinal sideboards which help preserve the very essence and purity of the gospel. We may get things many things wrong in life. Such decisions may prove painful in the short run, but in the final analysis, such decisions have little effect upon our lives. Failing to get the gospel right, however, has eternal implications.Getting the Gospel Right reminds readers of the importance maintaining our allegiance to the truth of God’s Word. Trifling with the gospel is simply not an option for followers of Jesus Christ. What is Reformed Theology? originally appeared in 1997. This updated volume has a new cover and new contemporary format. The content, however, remains the same as Dr. Sproul guides readers through the wonders of Reformed Theology. The first half of the book helps readers understand the necessary backdrop of Reformed theology. Of primary importance is its devotion to God. Sproul writes, “Reformed theology is first and foremost theocentric rather than anthropocentric … Reformed theology takes sin seriously because it takes God seriously and because it takes people seriously. Sin offends God and violates human beings. Both of these are serious matters.” The author clarifies that Reformed theology is devoted to more than merely five points. Indeed, Reformed theology is catholic (it embraces the great ecumenical councils and doctrines of church history) and evangelical. Reformed theology is based on God’s Word alone. The commitment to the sola Scriptura principle is a fundamental aspect of Reformed thought. Therefore, the crucial doctrines of the infallibility, inspiration, authority, and inerrancy of Scripture are at the core of Reformed theology. Reformed theology embraces the sola fide principle. We agree with Luther who famously said that justification by faith is “the article upon which the church stands or falls.” As such, we repudiate the Roman Catholic doctrine of justification which involves both faith and works. Finally, the author includes a helpful overview of covenant theology which involves the covenant of redemption, covenant of works, and the covenant of grace. Part two contains a basic overview of what is traditionally referred to as the five points of Calvinism. Each chapter summarizes the critical elements of the five points, including total depravity, unconditional election, limited atonement, irresistible grace, and perseverance of the saints. Sproul writes clearly and forcefully. His arguments are biblical and logical and compel readers to embrace these historic biblical doctrines. What is Reformed Theology? is probably the best introduction to the doctrines of grace in print. Other resources include The Reformed Doctrine of Predestination by Lorraine Boettner, The Joy Project by Tony Reinke, The Doctrines of Grace by James Boice, The Five Points of Calvinism by Edwin H. Palmer, and The Potters Freedom by James Boice. Is is Time to Go Home to Rome? There are at least 1.2 billion Roman Catholics in the world – a stunning number to the unsuspecting. It would be a massive understatement to confess that Rome has had and continues to have a titanic influence on Western thought and culture. In recent years, some evangelicals have taken steps to bridge the divide between the Roman Catholic Church and Protestantism. Evangelicals and Catholics Together (ECT) is the most well-known statement that sought to unify the two camps. More recently, the Manhattan Declaration: A Call of Christian Conscience made attempts to unify the two groups. The efforts to bring unity is commendable but misguided as these two documents fail to account for the unmistakable doctrinal divide between Rome and Reformation principles. R.C. Sproul addresses these important topics in his book, Are We Together? A Protestant Analyses Roman Catholicism.The author analyses six critical areas of disagreement between Rome and evangelicalism. He addresses scripture, justification, the church, the sacraments, the papacy, and Mary. Each topic is addressed in separate chapters and include Rome’s stance which is contrasted with the biblical view of Protestantism. Sproul’s work is historically accurate and biblically sound. While he does not address the matter comprehensively, he does tackle the most important matters in the church. In that sense, he leaves no stone unturned. The book is a terrific introduction to the Roman Catholic Church and should be digested by every evangelical. Sproul is gracious in his assessment of Rome. Yet, he is not afraid of speaking candidly about the numerous doctrinal errors that have been and continue to be promulgated by Rome. At the end of the day, readers will become aware of the grievous doctrinal errors of Rome and encouraged to embrace the teaching of the Reformers. Indeed, the crux of the matter is the gospel. Sprout affirms, “I am happy to make common cause with Roman Catholics on social issues, bu we have no common cause in the gospel. Rome has compromised the gospel with her unbiblical doctrines. I firmly believe that she is ‘teaching as doctrines the commandments of men. '” I commend Are We Together? A Protestant Analyses Roman Catholicism and trust that many readers, both Roman Catholic and Protestant alike will be encouraged by the biblical reality that is presented in this powerful little book. How Should I Live in This World by R.C. Sproul is a primer on ethics. The author settles the chief ethical question at the beginning of the book: “There is a right and there is a wrong. The difference between them is the concern of ethics … Ultimately we seek a knowledge of the character of God, whose holiness is to be reflected in the patterns of our behavior. With God there is a definite and absolute black and white.” Sproul’s approach is refreshing in a world that is awash with moral relativism, situational ethics and pragmatism. The author makes it clear that the basis for Christian ethics is divine revelation: “We assert boldly that God has revealed to us who He is, who we are and how we are expected to relate to Him.” He continues by demonstrating the consequence of abandoning God’s Word: “The departure from divine revelation has brought our culture to chaos in the area of ethics. We have lost our basis of knowledge, our epistemological foundation, for discovering the good.” This commitment to autonomy is the seed bed of sin. When the creature rebels and declares independence from the Creator, he commits cosmic treason. The remainder of the book examines several ethical questions of special concern to Christ-followers including materialism, capital punishment, abortion, and the conscience. How Should I Live in This World is a needed reminder in a day that is drowning in ungodly worldviews. Students especially should be encouraged to read Sproul’s short book and interact with these crucial questions. One will be challenged to embrace the principle of Sola Scriptura. Indeed, Scripture is our highest authority. 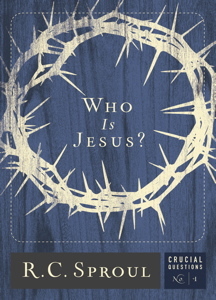 “Who is Jesus?” is the name of the book. In a short 105 page treatment, Dr. R.C. Sproul provides the answer. Writing with the simplicity and the profundity that we have grown to love over the years, Sproul delivers a satisfying and biblical answer. He begins by challenging the liberal view of Jesus – the view that has more in common with a cartoon character than what the New Testament presents. Sproul sets forth the evidence in a way that any thoughtful person can understand. He encourages readers to build their understanding of Jesus in the Scriptures: “When we go back to the biblical sources, we recognize that any attempt to understand Jesus must take into account the dangers imposed by our own minds.” Wise words that many times go unheeded.